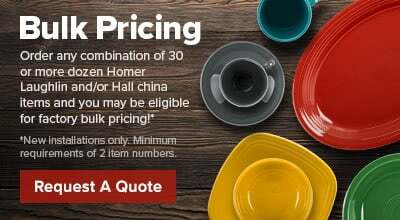 This Homer Laughlin 1430-0355 Green Jade Gothic 5 5/8" saucer serves as a sturdy base for piping hot cups of espresso, tea, or coffee! 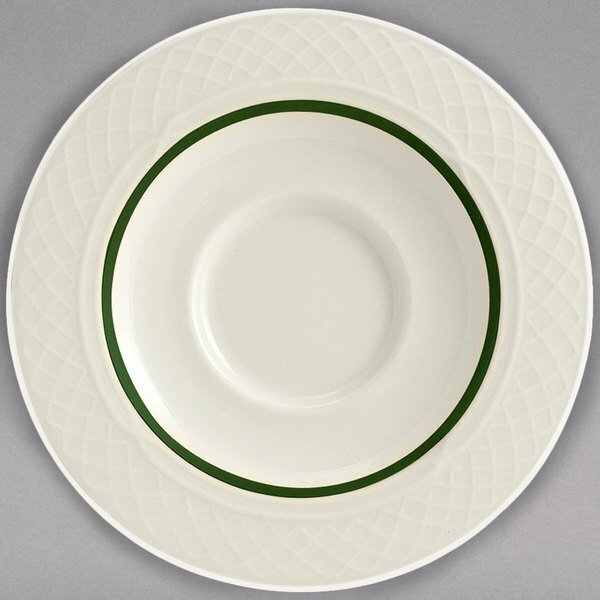 Its intricate pointed-arch pattern encompasses the entire rim for an elegant appearance and is accented by a fine green ring along its outermost edge. It's perfect for use in fine dining at hotels, restaurants, or catered events.